Apple is currently testing Mac prototypes with touchscreens and the Face ID biometric feature but that doesn’t mean a brand-new Mac model with Face ID is launching anytime soon. According to a report Monday, the Cupertino technology giant is internally testing these basically early-stage prototypes of Mac notebooks with Face ID and touchscreens. This nugget was mentioned as a side-note in today’s report from MySmartPrice about the AirPower wireless charging mat coming this spring along with second-generation AirPods featuring a black color offering, deeper bass, better grip and other perks. MySmartPrice isn’t the most reliable news outlet in terms of Apple rumor reporting so take this particular report with a grain of salt. Now, the company is almost certainly working on bringing Face ID to the Mac line because Face ID is inherently more secure than Touch ID. On the notebook, Face ID would be even more convenient than on an iPhone: you’d basically get logged in the instant you opened the lid. As for a touchscreen Mac, that’s a tough one. Pundits and media outlets have long called for Apple to create a touchscreen Mac notebook to be able to better compete with two-in-one convertible devices powered by Windows 10. Apple, however, has maintained its position that touching a vertical surface like a notebook display may make for a great ad but the user experience would suffer from a gorilla-arm syndrome. Steve Jobs in 2010 said touchscreen notebooks would be “ergonomically terrible”. We’ve done tons of user testing on this and it turns out it doesn’t work. Touch surfaces don’t want to be vertical. It gives great demo but after a short period of time, you start to fatigue and after an extended period of time, your arm wants to fall off. It doesn’t work, it’s ergonomically terrible. For a notebook, that’s why we’ve perfected our multitouch trackpads over the years because that’s the best way we’ve found to get multitouch into a notebook. 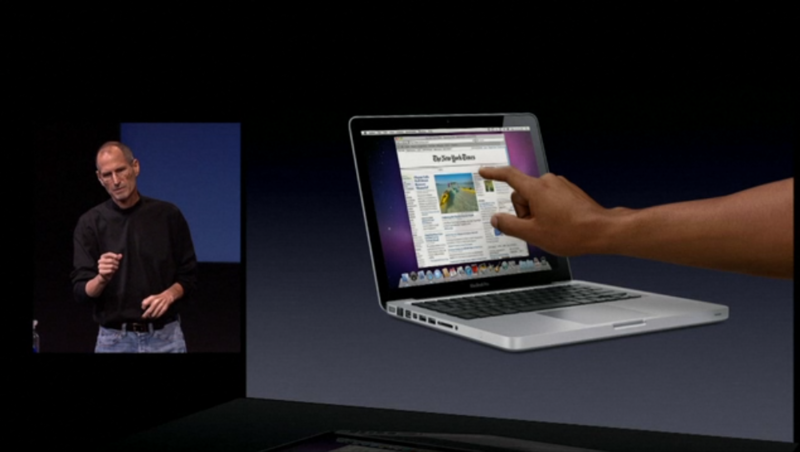 We’ve also, in essence, put a trackpad—a multitouch trackpad on the mouse with our Magic Mouse. And we’ve recently come out with a pure play trackpad as well for our desktop users. 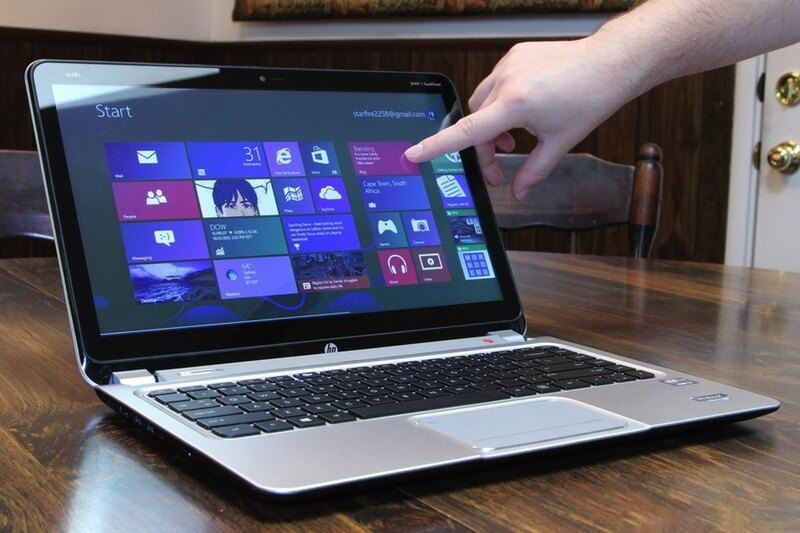 Of course, many PC users have been enjoying their touchscreen PCs without issues. Windows 8 challenged the Gorilla Arm—and won. Apple has filed for a number of patents related to touchscreen Macs, meaning the company has at the very least researched the possibility of using a touchscreen in a computer. And with rumors that an ARM-based Mac may be on its way, we suspect Apple could release a touchscreen Mac in the form of an ARM-based machine which may or may not double as a notebook and a tablet, as well as potentially run both desktop and mobile apps. What do you make of this report, boys and girls? Be our guest—speculate to your heart’s content in the comments down below.